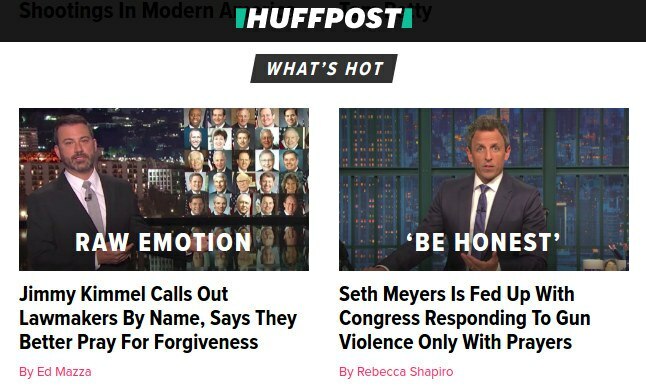 What a difference a current year makes. The jews are genetically and psychologically alien to and alienated by Whites. Naturally the jews blame Whites for this. Unnaturally, so do many Whites. The objective truth is that what the tribe of Seinfeld and Weinstein regard as normal is seen as abnormal by Whites. 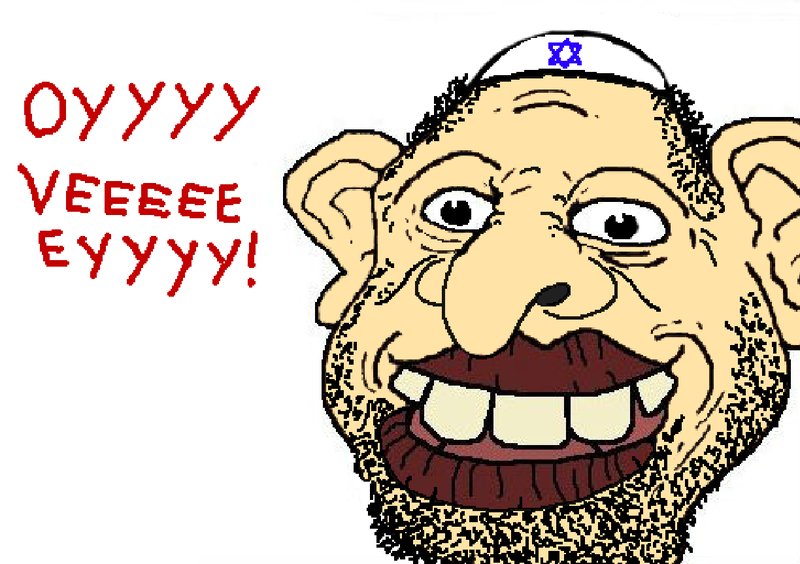 And when the jews screech about Whites being normal, ooooy veeeeeeyyyy, that’s just the jew normal. 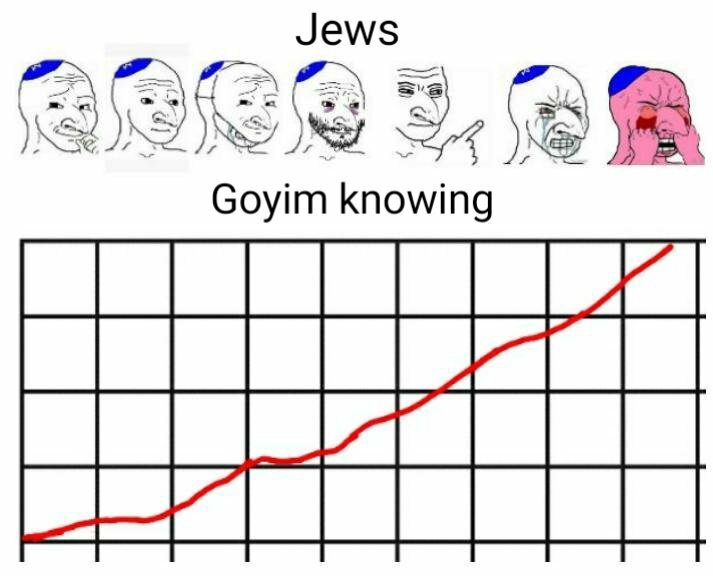 How dare these uppity goyim who don’t even read the Jew York Times doubt the six gorillion? A man with white skin is alleged to have shot into a White crowd in Las Vegas, injuring over 500 people and killing some five dozen. How does the anti-White jewsmedia react? Cohencidence #1. Two professional anti-White jewsmedia house niggers, one a transracial fraud, the other some kind of tragic mulatto, push the same reality-inverting narrative. Cohencidence #2. The brainiacs at Vox and Newsweek invoke statistics while pretending they don’t understand proportions. But in the eight months since Trump took office, more Americans have been killed in attacks by white American men with no connection to Islam than by Muslim terrorists or foreigners. Adopting extremist views and committing horrendous acts of violence in the name of some “righteous” cause, be it religion or politics or just plain old hatred, isn’t something that only Muslims, or Arabs, or immigrants, or any other group of people do. It’s something humans do. The details of such articles hardly matter. The payload is in their headlines. The point is that race matters. The premise is that Whites are evil, non-Whites are good. The author sees their own perception of someone’s Whiteness as evidence enough to justify condemnation. Actual identity and motives are regarded as irrelevant. It doesn’t even matter whether the individuals in question were doing the shooting or getting shot. They’re White. That’s the problem. Cohencidence #3. The jewsmedia’s late night comedy wing takes a different tack, refers to race only implicity, but pushes the gun grab agenda hard. Who’s driving the anti-gun agenda? Organized jewry. Why is the jewsmedia anti-White? Because it’s driven by jews. By the way, this behavior isn’t a reaction to Trump. The jewsmedia faults Trump, and would not have faulted Clinton, but the anti-White premise doesn’t change. In 2013, for example, jewsmedia jews were blaming Whites for the Boston marathon bombing before any suspects had even been identified. It was the same script they’re using today, right down to the “oy vey, won’t somebody pity the poor muslims who don’t have White privilege” shtick. What is so special about Giffords? Why is the Jew York Times still promoting an imaginary connection between her shooter and Palin? Can you guess? In 2011 the shooting of Giffords triggered the jewsmedia to unleash a torrent of vitriol at Palin and her White supporters. Palin called out the dishonest screeching in the jews’ own terms, which triggered the yids to really flip their lids. In retrospect it wasn’t an isolated incident but a preview of the increasingly open anti-White hostility of the jewed elite, which they later really let hang out during Trump’s selection campaign. The thrust of the jewsmedia narrative, then as now, is that somebody else’s rhetoric is somehow inspiring violence. Of course words can inspire violence. Nobody understands this better than that most privileged tribe, constantly lecturing everybody else about the danger of tribalism, whose own toxic anti-White rhetoric prevails not only in the media but also in academia, the judiciary, and all major political parties. The furor which erupted from the echo chamber in the wake of James Hodgkinson’s attack is theatre. The fakery extends well beyond a single paragraph, op-ed, publisher, or shooting. The spectacle created by the “left”-posing jewsmedia and the “right”-posing alt-jewsmedia, pointing and sputtering at each other, and especially at their designated kikeservative punching bags, is a deliberate and concerted distraction. The purpose is to keep the goyim on the defensive, scrambling to justify our beliefs, our speech, our guns, our very existence. What all this jewsmedia screeching serves to do is shift attention away from the harm caused by their own rhetoric, harm so ubiquitous that it goes largely unremarked upon. Consider the disease, corruption, ripoffs, beatings, rapes, murders, bombings, and wars inspired or enabled or justified by the bipartisan anti-White/pro-jew regime’s narrative. Notice that they never take the slightest responsibility for causing any of this harm. They constantly screech as if they are victims not because they are ignorant or insane, but because they know well the harm they’re causing and the response it calls for. This was the year when random shitlords on Twitter, anonymous podcast hosts, and dissidents working deep within the beltway right proved that they objectively understood politics better than the “Republican strategists” and “political consultants” snarking at us every night on MSNBC. It’s not just that they are leftists and cucks. It’s not just the many are genuinely stupid. Indeed, one wonders if these people are people at all – or instead, soulless golem, animated by some dark power to repeat whatever talking point John Oliver stated the night before. This twit, from one screechy jew organization to another, captures the gist of the reaction that immediately echoed throughout the Lügenpresse: “‘Alt-right’ Trump supporters are unsure if Jews are people. @jfederations, are you sure you want to support this admin? #JewishResistance”. CNN pushed a similar line, which produced a swift jewlash and apoplectic apology. Of course, the apology was for offending jew sensibilities, not for distorting what Spencer said. Spencer was speaking in terms of partisan political opposition, at the edge of the jew normal box – his alt-right and Trump versus the left and their cuck-right. His use of the term golem alludes to jews as the animators of the entrenched opposition, implying that the non-jews, the kikeservatives of whatever party affiliation, are behaving inhumanly, like robots. It is telling that jews immediately reduced what Spencer said to being entirely about jews – as if nobody else matters, as if nobody but jews is human. Much the same occurred last month when Trump started speaking stridently against the elite globalist bankers and media. Jews flipped out exactly because they perceived this as a coded threat to themselves, not at all out of concern for anybody else, elite or otherwise. 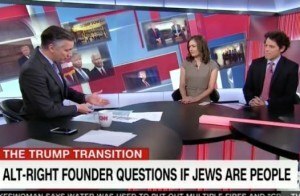 CNN’s crime was to highlight Spencer’s reference to the jews’ golem tale, in which the jews are saved from the inhuman goyim of medieval Europe, while deploring a modern day meeting of inhuman White “racists” and “anti-semites”. The jews are screeching so loudly because they feel exposed. By crying out they seek to ensure that everyone understands the jews are not just people, part of “us”, but are that extra special part of “us” who defines who “them” are. When some member of the jewed elite equates Trump to Hitler what they’re implying is that Trump (and his supporters) must be attacked, destroyed, and even killed. Never Trump. Never again. By any means necessary. The toxic anti-White jew Tim Wise put it this way: “Nazis must be crushed. No co-existence…crushed. If the “alt-right” wants to play Nazi, we need to play the Allies, circa 1944 and 45″. 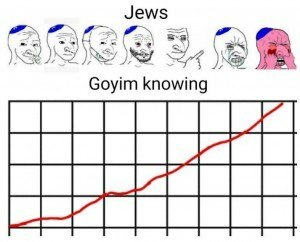 Are the jews people? In fact their definitive concern is for themselves, for their own peoplehood. As a parasitic people they not only organize around this exclusive sense of “us” as jews, but actively seek to co-opt, control, and ultimately destroy any similar sense among the goyim host “them” they feed upon. One thing is certain. The jews aren’t White people. They are empirically collectively anti-White, the enemies of Whites. Indeed, when jews attack Whites while screeching about “anti-semitism” it is because they are drawing a clear distinction and expressing a truly racial animus.